So I drove the hour and a half from Phoenix west on I-10 and got to Quartzsite, AZ in the middle of the afternoon. 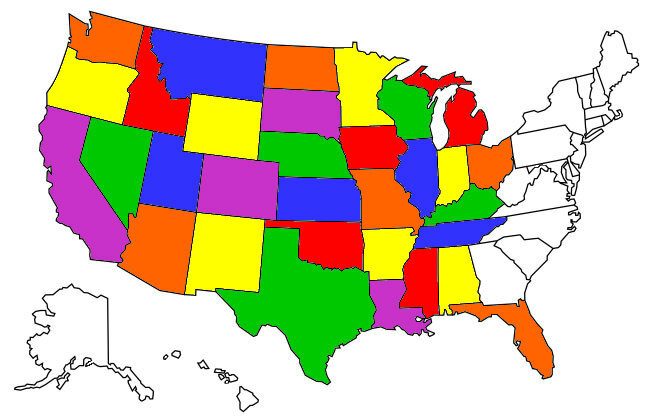 There's always a big RV show every January that comprises all things RV, from vehicles themselves to parts big and small to just about anything you could consider putting on around or into an RV. This year the show is a little later than usual running from the 21st to the 29th, and I plan on going, not because I really need anything for the Tank but just for the spectacle, there will probably be over 100,000 attendees this year like always! 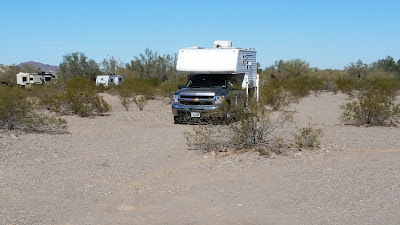 I decided to pay $40 for a two week stay in the Long Term Visitors Area (LTVA) rather than stay in one of the free BLM areas south of Quartzite because the LTVA abuts the RV show grounds and I'd be within walking distance and not have to fight the thousands of vehicles that drive in every day. 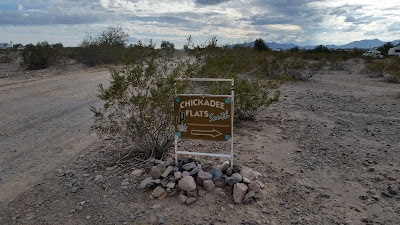 I found a pretty decent campsite in Chickadee Flats which is a camp area just south of the RV show. 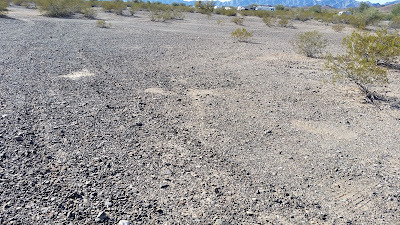 That's Old Yuma Road, the main drag thru the LTVA. Unfortunately, Chickadee Flats became very "popular" with new comers who all had the same idea of walking to the show as I had and, as my luck would have it, several generator running RV's pulled in right beside me, set up their generators and let 'em rip, oblivious to their neighbors. One of the good things about having wheels on your house is that you can move if your neighbors hassle you -- so I did, about a half mile south down Old Yuma Road to an unnamed camp area but one that was happily free of noisy generators. Note the relative spacious distance to my new neighbors. 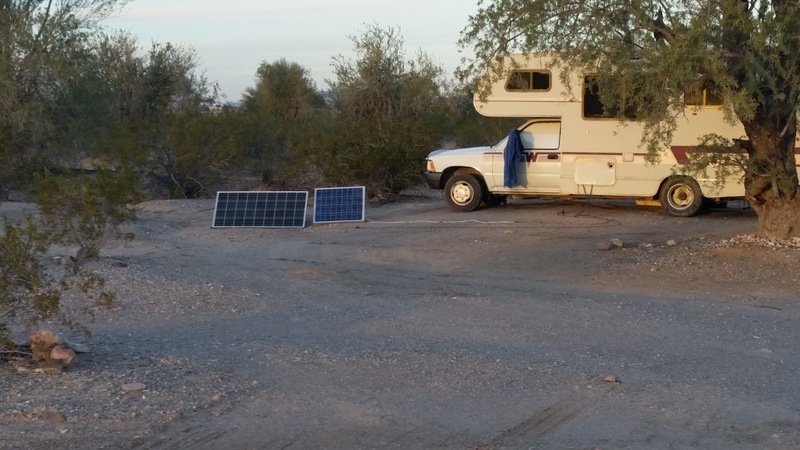 Solar panels = quiet neighbors! I could probably still walk to the show from my new campsite but if I DID buy anything bulky it'd be a real carry getting it back to the Tank's site so my new plan is to attend the show on the day my two week LTVA stamp expires, park the Tank near the show, walk over and see it then take off. The LTVA area is chock full of RV's of every model and stripe, there are even quite a few pickup/camper rigs like the Tank here. 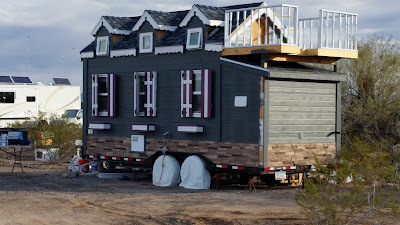 Talk about your house on wheels! The weather this time hasn't been as cooperative as in the past when I've been here with daytime highs sometimes not even getting into the 60's and a lot of wind and even quite a bit of rain! Fortunately the soil that the Tank is parked on is a mixture of predominately dirt and gravel so I have no concerns of repeating the Utah fiasco where I got stuck in the mud for a couple days last Fall. 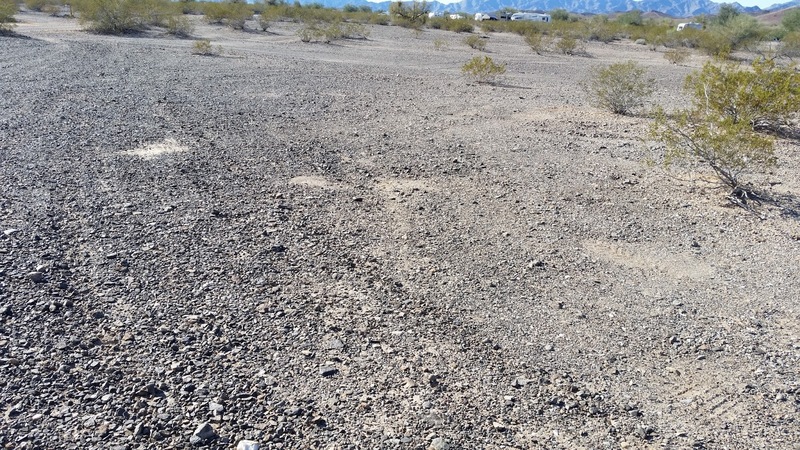 The mostly gravel soil in the LTVA. I'll take some photos of my walk through the RV show next week and do another post about it.